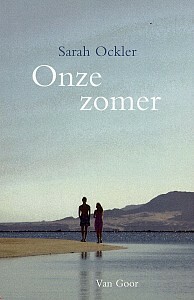 The Dutch version of Twenty Boy Summer, titled Onze Zomer (Our Summer) is out. And thanks to the miracle of Google Translate, I can now obsess over book reviews in another language! Not that I did that or anything… it’s just nice to know the option is there if I need it. Well okay maybe I tested it on one review… ahem. Anyway. If you happen to be in the Netherlands and near a bookstore, and you speak Dutch, check it out. I’m trying to figure out a way to justify a trip there. You know, to celebrate. In Dutch. Maybe in the zomer! I’ll be there in June. Want me to pick you up a copy? Better yet, meet us there! You know, I mentioned that to Alex and his eyes kind of lit up with that crazed look he gets when he likes something. Keep me posted on your plans – we may do just that! OMG…Every time something else happens I cry!!!!!!! So very very proud!!!!! Now that IS pretty cool!!!! That is wonderful!! I’m so very proud of you! Why do they change the title of the book? I’m not sure… maybe the original title doesn’t translate the same way. Publishers have the power to change titles in the US, too, so it’s probably something like that. Usually when they do a title change, from the original author’s title or from the English edition, it has to do with marketing and how they want to position the book in the marketplace. The Dutch version has a different publisher than the US version so I guess they have a different approach. Congrats :o) That’s so great that it’s out in Dutch!